How cool! 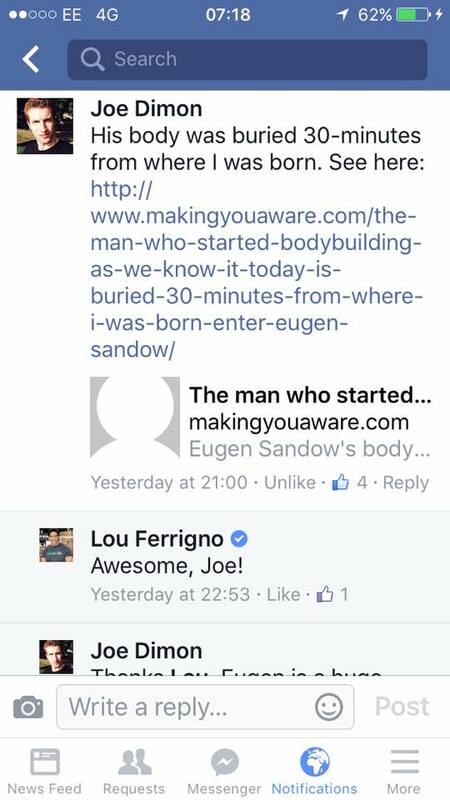 Lou Ferrigno (who played the Incredible Hulk) replied to a comment I made on his Facebook fan page about an article on Eugen Sandow (the man who started bodybuilding as we know it today). 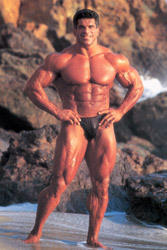 It started with Lou Ferrigno’s Facebook fan page, where he uploaded a link to an article talking about how Eugen Sandow started bodybuilding as we know it today. 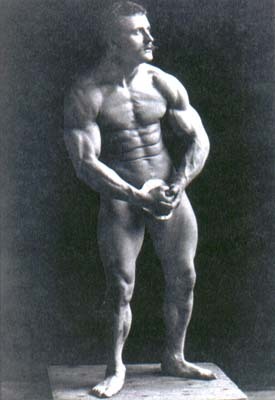 I then replied, giving the link to the article I wrote here entitled “The man who started bodybuilding as we know it today is buried 30 minutes from where I was born… Enter Eugen Sandow.” See it here.